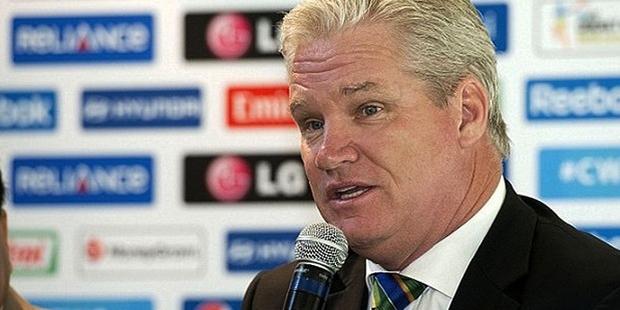 Dean Jones is a retired Australian cricketer, presently working as a sports commentator and a coach. He was a right-handed batsman and right arm off spin bowler, most remembered for his splendid 210 score in a tied Test match, against India, in 1986. In addition to that, Dean is also remembered for his ODI exploits, as one of the best ODI batsmen of his times, and undoubtedly one of the all-time favorites among cricket lovers. Born in 1961 in Coburg, Jones joined the Carlton Club in his teenage, where Barney, his father was already recognized as a skilled all-rounder. Along with his two younger brothers, he learned cricket while in school, and was largely influenced by Keith Stackpole, the former opening batsman of Australia. Jones played for Victoria in the year 1981-82. 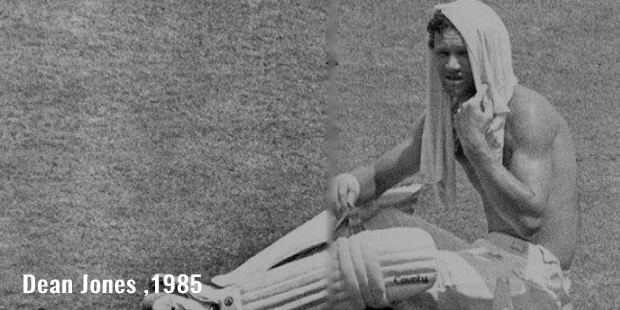 He was also selected for the West Indies tour of 1984, but had to drop out due to an injury. The years 1984-1992, saw him enjoy a glorious career, with 52 test matches, scoring more than 3630 runs with an average of 46.55, including eleven centuries. He is most noted for his third test match against India in Chennai, during which, he was suffering from dehydration and vomiting, and yet managed to score an impressive 210. This became one of the epic test innings in Australian cricket history, and for Jones, a landmark moment in his career. Dean has played more than 164 one-day international matches, scoring 6068 runs, including 7 centuries, 46 half centuries, and sporting an average run rate of 44.61. 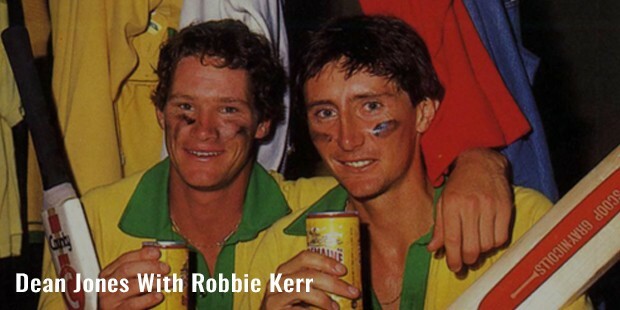 He played a significant role in the 1987 World Cup. 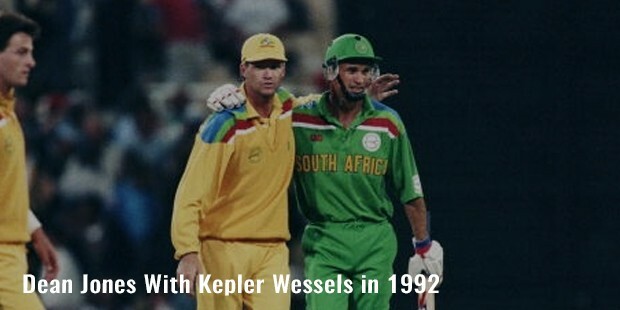 Unfortunately, though, while he was at the peak of his career in 1992-93, he was dropped from the test matches, probably due to some personal issues with Bob Simpson, the then coach of the team. 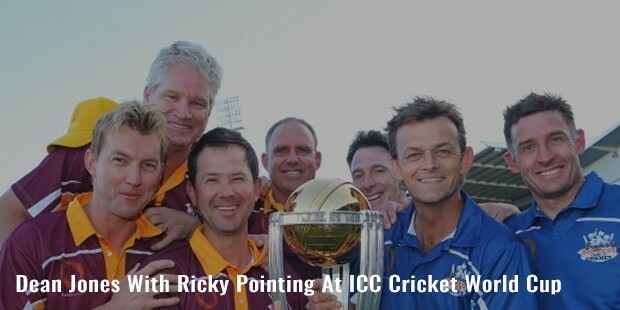 However, he continued playing one-day matches for a couple of more years. During his cricketing career, Dean Jones came to be known for his aggressive batting style, particularly against fast pacers. He also ran with lightening speed between the wickets, and set new standards for fielding stunts. Presently, Dean is a commentator and a coach. He is also actively involved in fundraising for cancer patients. In 2006, he became a Member of the Order of Australia (AM) for his service to cricket as a coach, commentator and player. 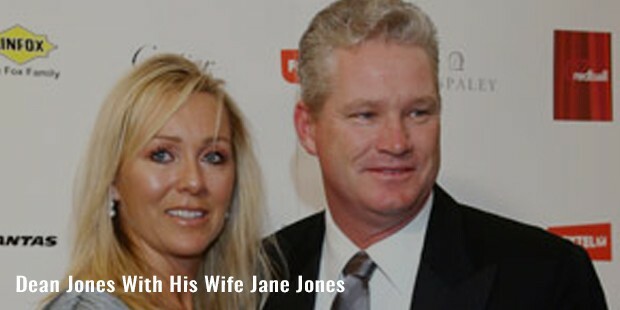 Dean is married to Jane Jones. Surprisingly, he loves India, particularly its cuisine and culture. 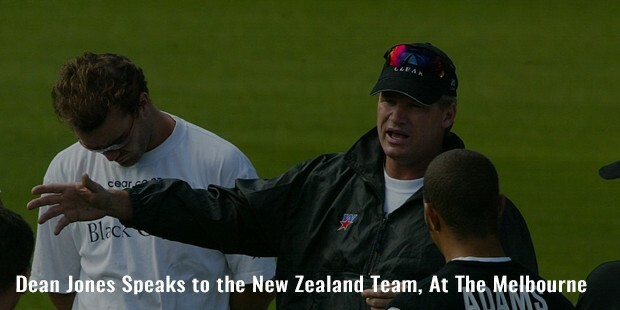 Dean had openly expressed his disappointment at not being selected as a coach for the Indian Cricket team.